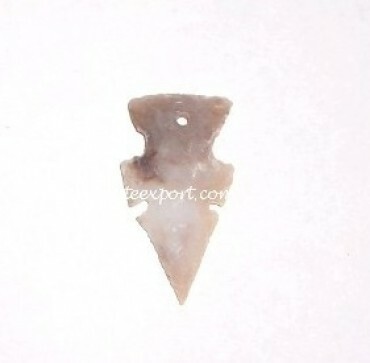 This pendant by agate Export looks like a normal arrowhead. It just has side cuts. It adds you a cool quotient in your beauty.